I’m not even going to pretend I haven’t heard this one. Stone Machine Electric have a new album coming out. It has four songs on it, and it’s awesome. 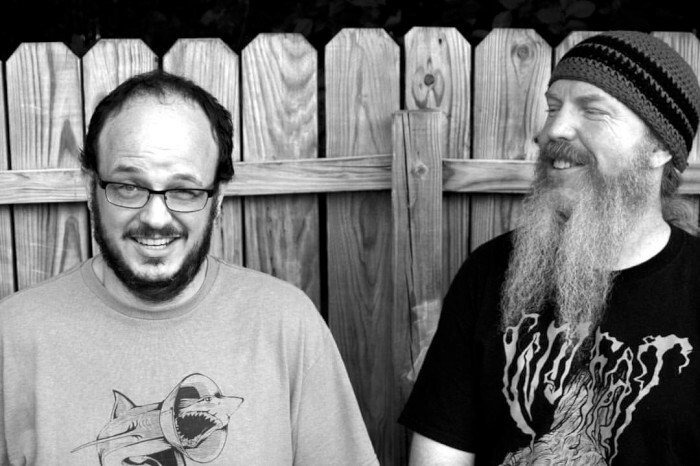 The Texan bizarrojam duo have been at it for nearly a decade now, and it’s been nothing short of a joy to hear them get weirder and more comfortable getting weirder as they’ve grown into their own style, and Darkness Dimensions Disillusion is four songs serving as the next step in that ongoing process. I’m keeping my fingers crossed I’ll get to premiere a track or something this time around, but we’ll see as we get closer to the April 26 release on Sludgelord Records whether or not that happens. Either way, the record is awesome, which is no less than I would expect from Stone Machine Electric, who’ve made that their ply and trade all the while. Their last offering was 2016’s Sollicitus es Veritatem (review here) and its 2017 live companion, Vivere (review here), so they’re due, and as they work once more with Kent Stump (Wo Fat) at Crystal Clear Sound in Dallas, they’re nothing if not right in their element. All the better. Texas-based duo best known for their weird approach in crafting a darkened and spacious vision of psychedelic jamming are ready to reveal their latest effort. This album was produced, mixed, and mastered by Kent Stump at Crystal Clear Sound in Dallas, Texas. Darkness Dimensions Disillusion informs you on the greater picture that is not seen, reinforces the confusion, reminds you nothing changes, and lets you know that you are still not in control. Darkness Dimensions Disillusion will be released on Sludgelord Records on April 26th, 2019. Clearly working on the model of not fixing that which isn’t broken in the first place, Hurst, Texas, duo Stone Machine Electric will hit Crystal Clear Sound in Dallas later this month to begin recording material for their next long-player. As was the case with their woefully prescient but nonetheless deeply enjoyable 2016 album, Sollicitus es Veritatem (review here), which went on to spawn the complementary 2017 live record, Vivere (review here), it will be none other than guitarist/vocalist Kent Stump of Wo Fat at the helm as producer. Stump did well capturing the jammy fluidity and weirdo-prone spacious noisemaking of the band the last time out, and I’d expect no less of the new outing, which if they hurry could even see release by the time Stone Machine Electric return to play this year’s Obelisk-sponsored Heavy Mash fest in October. More info on that here, but the underlying point is we should all go. You. Me. Everybody. Off to Texas. It’s July and that’s in October, so unless Stone Machine Electric really bang it all out on the quick — hey, it could happen — the new album’s arrival might be later on or even early next year depending on pressing schedules, etc., but whenever it shows up, it’ll be welcome, as the band always seem to be underrated when it comes to their chemistry and the personality they bring to their songs. At the end of July, we’ll be making our way back to Crystal Clear Sound with Kent Stump (don’t act like you don’t know who he is, coughWOFATcough) behind the controls once again! We’ve got a handful of songs to record, and those will get organized and released into our next album. We’ve got no idea when that will occur. Baby steps? In the meantime, feel free to raid our merch store so you can help us bring you more news (wink-wink, say no more)! Use the code – electricreport – at our bandcamp site and get 20% off of anything. Anything. After being fortunate enough to have been asked last year, there was no way I wasn’t going to be up for having The Obelisk on board to present Heavy Mash 2018. 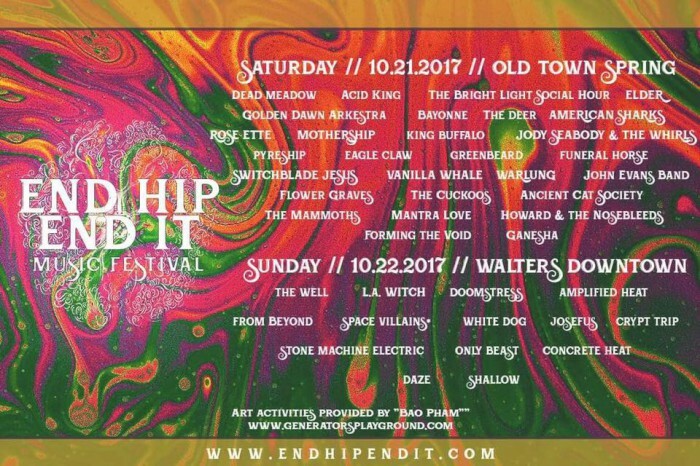 The second edition of the Arlington, Texas-based festival will take place on Oct. 13 and feature a full day and a full lineup of all-killer heavy rock, doom, psych and whatnot, with Austin-dwellers Duel as the headliners on the heels of their 2017 sophomore album, Witchbanger (review here). 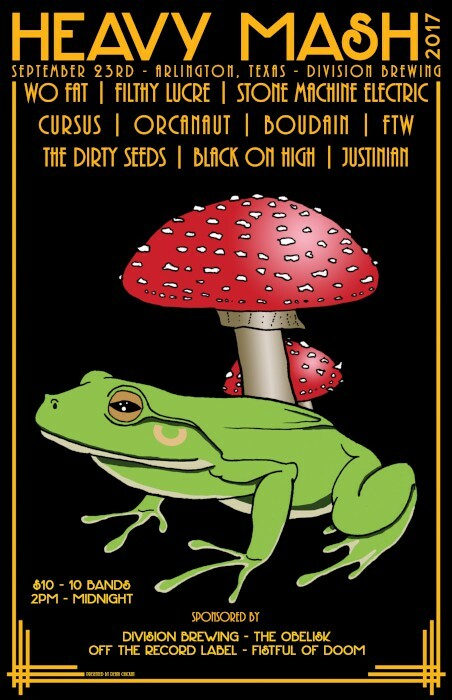 In fact, when fest organizer Mark Kitchens — also of Stone Machine Electric — brought up the issue recently, my only question was whether the awesome frog from last year’s poster would make a return. To the benefit of all humanity, you can see clearly above that it has. 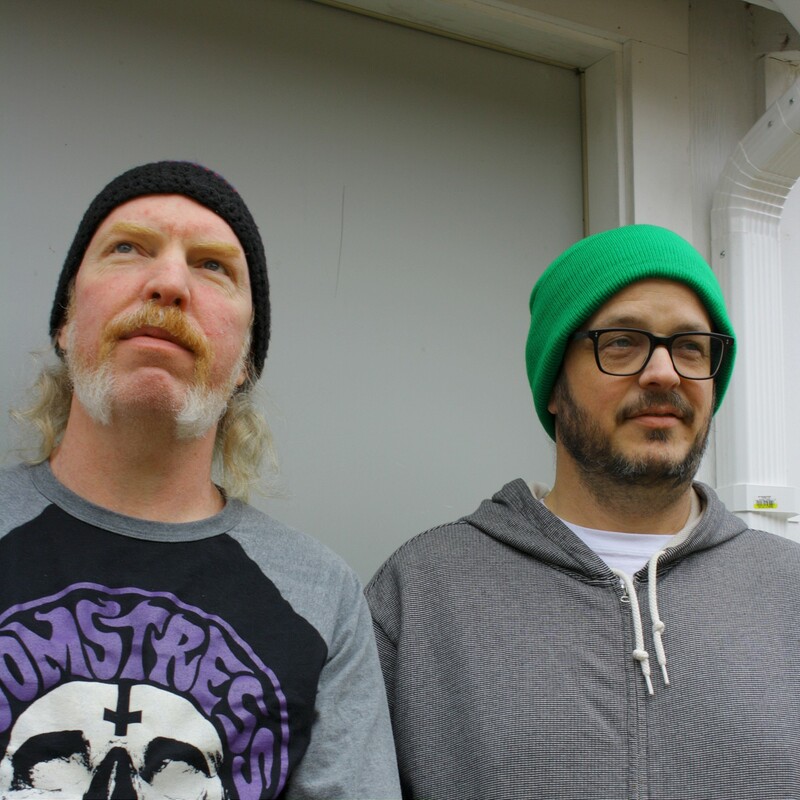 Duel sit atop the lineup with Californian imports Great Electric Quest and Dallas’ Mountain of Smoke, whose second album, Gods of Biomechanics, will be out July 7 and is an absolute crusher. As it turns out, Great Electric Quest are the only non-Texas band on the bill, as amid the roster of Doomstress, Stone Machine Electric, Switchblade Jesus, Orthodox Fuzz, Gypsy Sun Revival, Witchcryer and Dead Hawke, there isn’t one group that doesn’t call the Lone Star State home. I guess that’s what happens when the place you’re from is awash in creativity and, uh, huge. Just ask California. The geographic theme at play only makes Heavy Mash 2018 more special, since Texas’ heavy underground is nothing if not worth highlighting, and no doubt at least some of the acts will have shared stages in the past, making it all the more of a party at Division Brewing, which once again will host the event and seems to just be asking for trouble in so doing. So much riffs. So much beer. I hope they have a good mop for afterward. 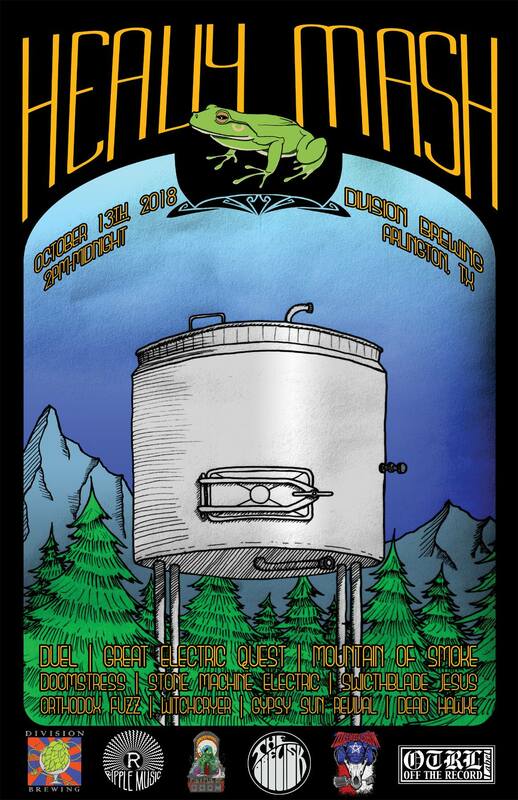 After last year’s successful event, we are pleased to announce this year’s Heavy Mash! Once again, our great friend Wade hosts this event at Division Brewing in Arlington, TX on October 13th, 2018. 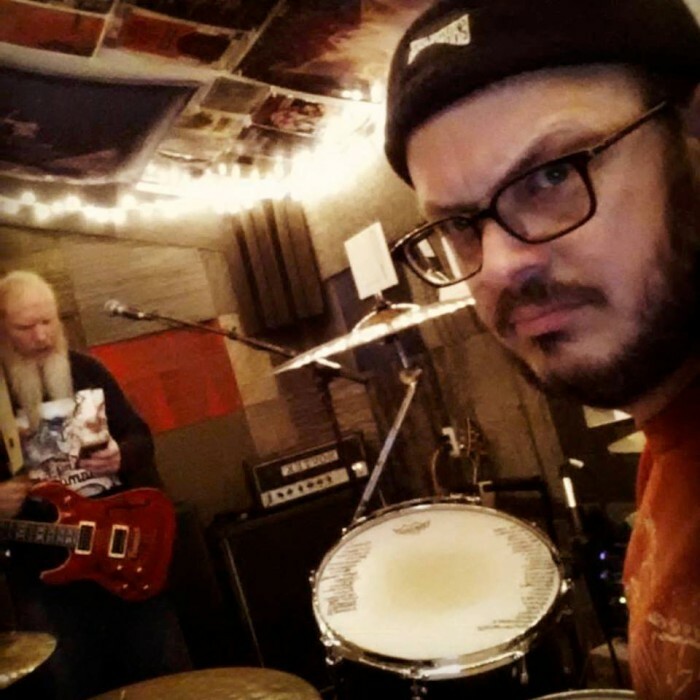 A vague update, a merch sale, and then, hey, a send-us-your-address-and-we’ll-send-you stickers-and-whatnot, and yeah, that’s pretty much the latest from Texas duo Stone Machine Electric. Charming as ever, and no, I’m not being sarcastic about that. 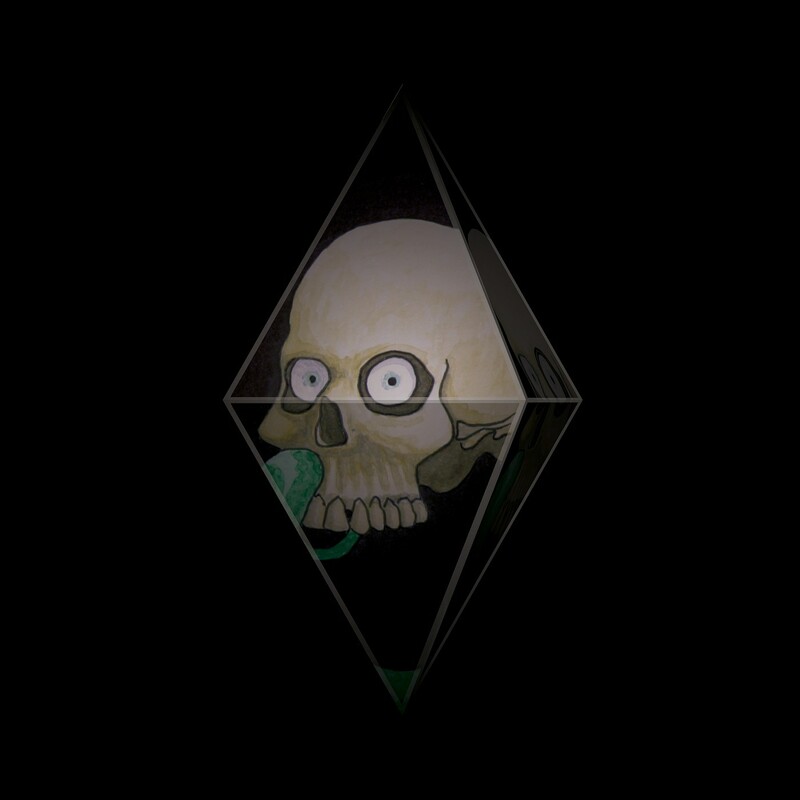 They’ve had new material in the works for a while now for an album that either will or will not get out before the end of the year, and last we heard from them, they were talking up a CD pressing of their 2014 Garage Tape (review here) release that seems to be available to order now from their Bandcamp. All good stuff, and I’m curious to find out if they’ll put together another Heavy Mash for this year. You might recall, the inaugural edition in 2017 was presented in part by this site. Still one of my favorite show posters as well. We’ve been a little recluse this year, but that’s because we’re working on all that “behind the scenes” stuff you never see. It’s ugly, we’re ugly, but everything is ugly! Don’t fret, unless you’re playing guitar, that means we’ve got news we’re not disclosing quite yet. Nothing big, just working on the newer material. Getting ready to do things with it. You can still email us at band@stonemachineelectric.net and send us your physical mailing address. Maybe we’ll send you a postcard, a sticker, or who knows what! Yeah, who knows what we’re doing – we don’t…. I bet you want to know Will we be playing Heavy Mash again this year? Are you wondering what Heavy Mash is? Did you know Kitchens released a solo effort under the name Slow Draw? You should check it out! Mind you, I don’t know if in the process of putting it out on compact disc, Texas duo Stone Machine Electric are actually re-titling their limited 2014 cassette — initially dubbed Garage Tape (review here) — as Garage Tape, er, CD?, but being relatively familiar with the Lone Star twosome’s work over the last however many years, I’d absolutely believe it. In fact, it’s precisely the kind of weirdo charm in which Stone Machine Electric specialize, and as one awaits further word of their next album, I’ll happily take whatever comes from these two deeply underrated psych jammers. 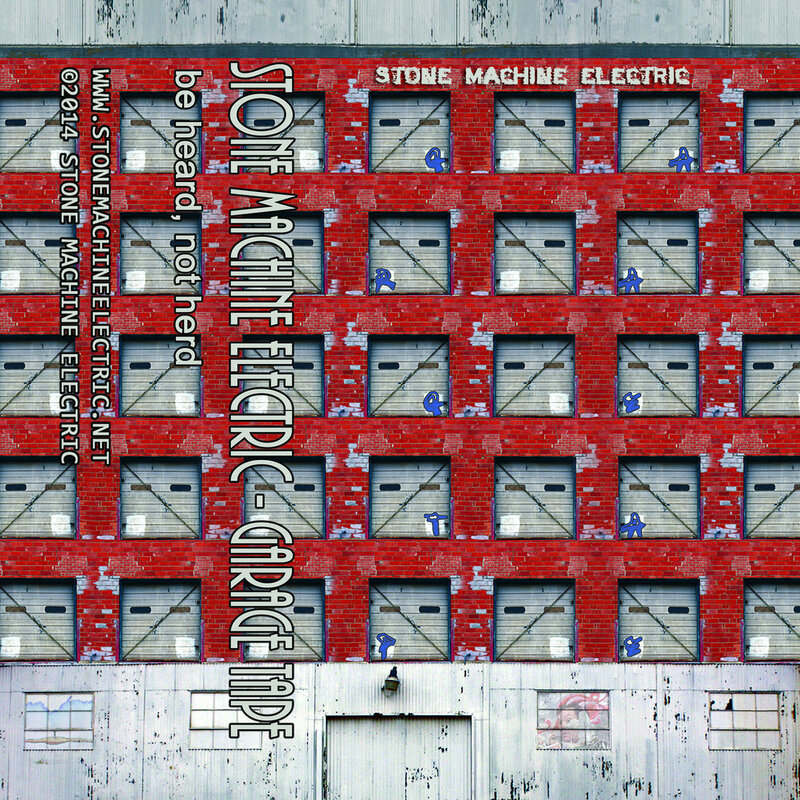 STONE MACHINE ELECTRIC – Garage Tape, er CD? 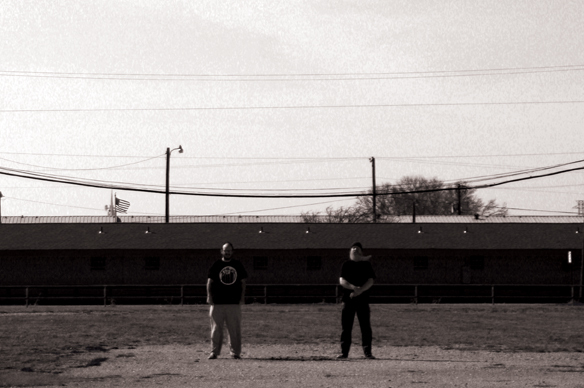 Texas heavy duo, Stone Machine Electric, is re-releasing the mind-bending “Garage Tape” onto, what else, but CD. This is by semi-popular demand. Sshhh, yes, vinyl would be nice, we know. Improvised live on July 26, 2014 in Kitchens’ garage. Expect these to start shipping beginning to mid-March. Stone Machine Electric started in the summer of 2009 with founding members Mark Kitchens and William (Dub) Irvin. Dub had asked Kitchens if he’d be interested in helping him start a band since the two had been in other bands together in previous years. Oh, I do love it when Stone Machine Electric get weird. They’re so good at it. The Hurst, Texas, duo of guitarist/vocalist William “Dub” Irvin and drummer/thereminist/synthesist/backing vocalist Mark Kitchens have a few particularly choice live appearances slated for the next couple months, including one tonight with The Midnight Ghost Train, a slot at the Obelisk-presented Heavy Mash in September (info here) and one at End Hip End It in October (info here) that puts them on a bill with damn near half their home state, including boogie magnates Amplified Heat and reformed proto-heavy rockers Josefus. Perhaps in part to mark the forthcoming occasion(s) and to follow-up on their late-2016 live offering, Vivere (review here) — which was itself an answer to the studio release, Sollicitus es Veritatem (review here), that came out earlier in the year — Dub and Kitchens are doing that thing they do so well: getting weird. Actually, getting kind of creepy. Their new video, for the six-minute, bass-led experimental piece “The Demon and the Bird,” carries a warning that its flashing lights might be dangerous to those with a sensitivity to such things. It should probably also have a one in there about haunting dreams. I’m not really sure what’s going on in the clip. There’s someone walking into a building, then there’s creepy-mask-face, then I’m hiding under the table and that’s about where I get lost. All I know from there on out is that the atmosphere of the song itself seems likewise intended to terrify, starting out a little prog noodly and working its way toward eerie drones to add to the tension of the fretwork. It could well be there’s a narrative playing out in the video, though — the band are pretty tight-lipped on the subject — and as they’re never really too long between one offering and the next, current work feeding off prior work as they go, I can’t help but wonder if “The Bird and the Demon” might bode of more darkness to follow. Then again, could be a total freak one-time thing. Part of the fun of Stone Machine Electric is that you never really know what you’re going to get. The duo known only as Stone Machine Electric (we only have one band name) have completed work on a concept video titled “the Demon and the Bird”. At this time, there is no further explanation for this video or any good reason for releasing it. Maybe it will make you want to purchase our fine wares or come see us do make-believe on stage. SEP 23 & 24 Division Brewing, Arlington, TX – Heavy Mash 2017 featuring Wo Fat and more! I’m not gonna discount the notion of seeing the likes of Josefus sharing the stage with The Well and Doomstress, or of watching the almighty Acid King roll out their riffly triumphs next to Dead Meadow, Elder, Mothership and a megaslew of others, but I think the fact that if you buy a ticket for the second day of End Hip End It you get two slices of pizza speaks volumes to the vibe the Spring, Texas-based festival is going for, and that’s a vibe with which I think just about anybody can get down. The lineup is varied from Funeral Horse and Switchblade Jesus to King Buffalo and Stone Machine Electric, but there’s a heaping representation of the fertile Texan underground here, and that’s likewise respectable. My understanding is they’ve run into some branding issues — I guess repeating any word in your fest name in Texas is verboten because you’re making fun of SXSW? seems to me SXSW could stand to be taken down a peg or two, but couldn’t we all? — and might rename the event for 2018, but whatever you call it, it looks like a good time to me. DAY 1 will feature 25 bands in Old Town Spring, Texas. Preservation Park will have three stages of music as well as many interactive art projects thanks to the Generators Playground. SUNDAY at Walter’s Downtown there will be two stages with 13 bands on rotation. Ticket purchasers will receive two drink tickets and two pizza slices! At End Hip End It you will find a tightly tucked 20 acre plot of land filled with green grass, craft breweries, interactive art projects, live music, beer tasting events, auctions for charities, Light shows, food trucks, VIP access, local vendors, and more. Interactive art projects will be hosted by Bao Pham of the Generators Playground. There goes another 0.106 seconds.